Be part of building a strong community. Make a donation to Hope Community. A secure and convenient way to create lasting change in a neighborhood that once symbolized despair and now represents a vision of hope and possibility. Through easy online giving, you can decide the amount and frequency of your gift and have it automatically charged to your credit card. A secure and convenient way to create lasting change in a neighborhood that once symbolized despair and now represents a vision of hope and possibility. Make a credit card contribution or a pledge by phone by calling Fund Development Associate, Sahkeena Mkali at (612) 435-1695. Hope Community is approved by the Charities Review Council. 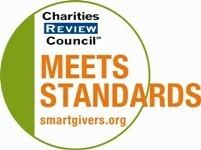 Charities that meet all of the Council’s Accountability Standards are granted the use of the Council’s “Meets Standards” seal. The seal provides a public, concise and accessible indicator of a charity’s commitment to accountable and ethical practices. To date, more than 200 charities have demonstrated their commitment to openness by voluntarily participating in these public reviews.